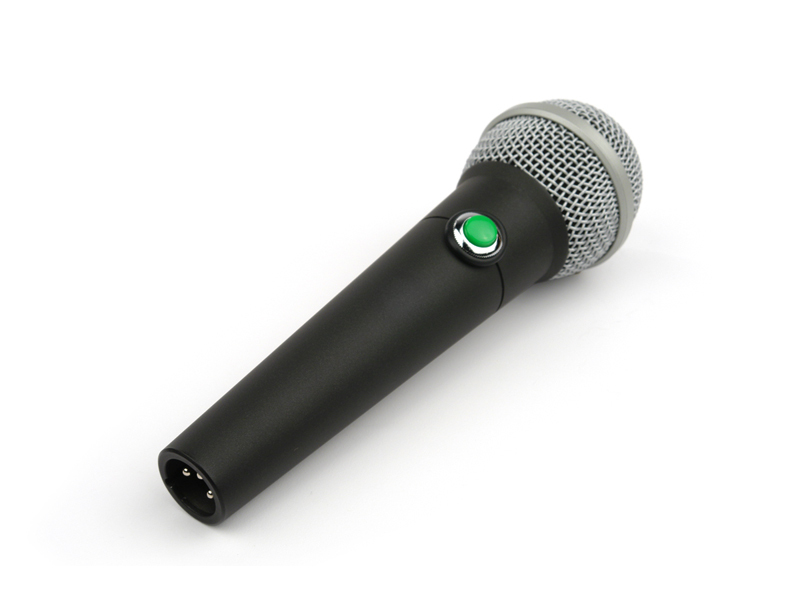 The Voice of God Microphone is a rugged, high quality dynamic microphone with a momentary push button switch for on set cueing. The VOG58 fits comfortably in your hand and is far easier to use than similar models with slide switches. 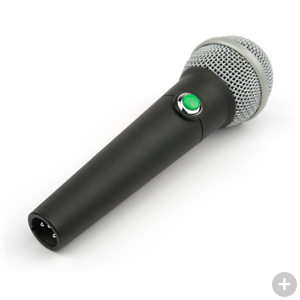 To engage the microphone, simply press and hold the green push button switch. Use it with a Speakeasy v3B to create your own portable public address system. Frequency response tailored for voice clarity and reduced proximity effect.